I can’t believe there are only five days until Christmas! I always seem to have a few projects to get done around the holidays, and this year was no exception. It’s really too bad that I usually give these items as gifts or donations items…one of these days I should really focus on sewing for myself! 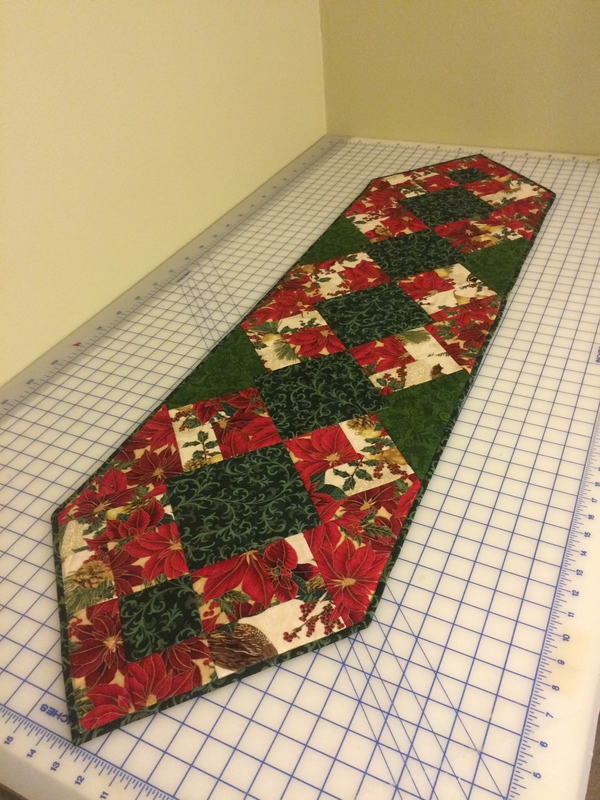 I made this beautiful Christmas table runner for my Soroptimist International of Helena holiday gathering and auction. The pattern is from the Recipe Bunny blog. She had a great tutorial on layout with yardage and instructions. It was very easy to follow, and fairly quick to make. I’ve also made quite a few of these stockings. 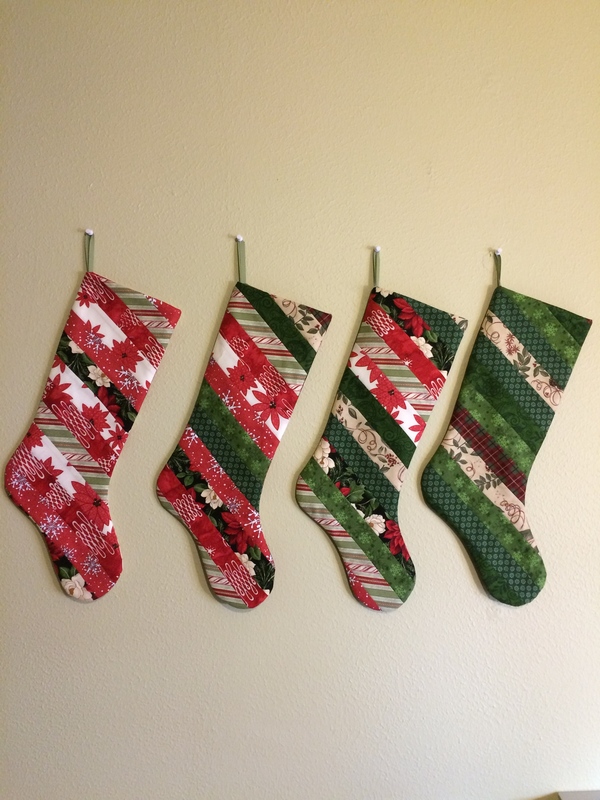 I need to make my youngest son his own stocking, so this was a nice project to get things going. I took enough pictures that I will probably make a tutorial for my next post…hopefully before Christmas! Next up (before Christmas) are pajamas for the boys for Christmas eve, then a Christmas stocking for G so that he doesn’t have to have one of the dog’s old Christmas stockings…I think if he knew, he might be offended…but then again, he’s not even 2.